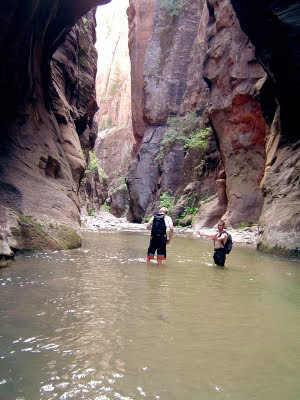 In 2004 some friends and I hiked the Narrows at Zion National Park in Utah. Of all the hikes I have ever been on, this was perhaps the greatest. 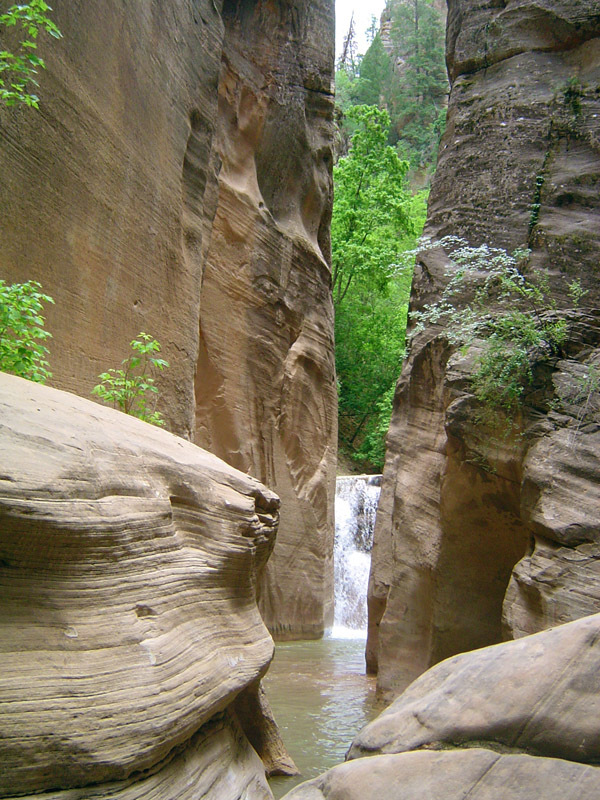 During much of the hike, the 100 foot vertical sandstone walls of the canyon close in so tightly that you must hike in the water itself, which is murky, and full of bowling balls, making each step a perilous lesson in jujitsu. When I was working on the St. George illustrations, I kept coming back to this place in my mind, and in the end, I used it very closely for the images of the last showdown with the dragon. 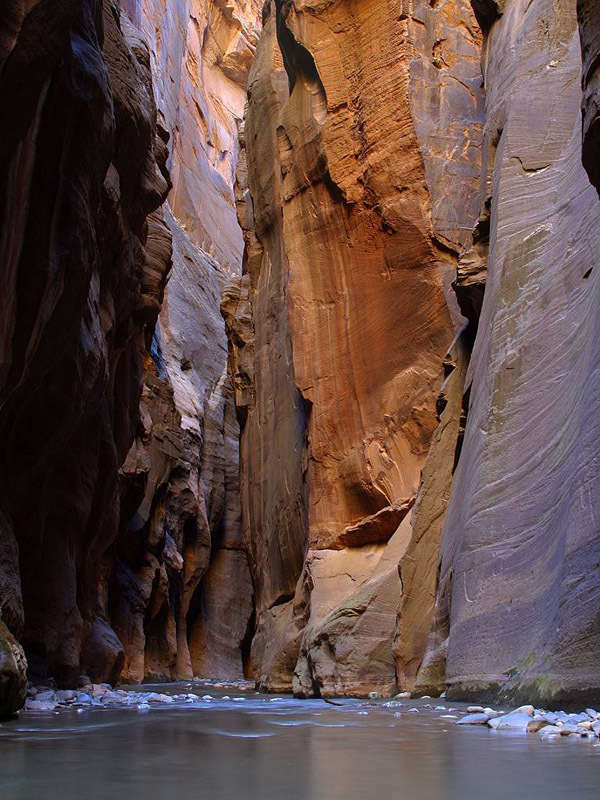 Part of this, is that amidst all the natural splendor of the Narrows, there is an element of danger, depending on which time of the year you are hiking. 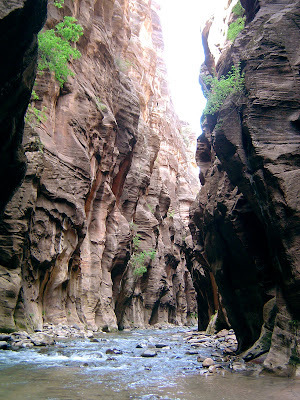 When we got into the park we were told that it would be very dangerous to hike the canyon because if it rained then, there would be a good chance that it would flash flood in the canyon. This would result in either severe injury or death or both. But only if it rained. And it was suppose to rain. After looking at the forecast, my friends were justifiably alarmed that we might get rained on half way out in the gorge and then be overtaken by a chocolate mud-slide of bowling balls and angry cougars. 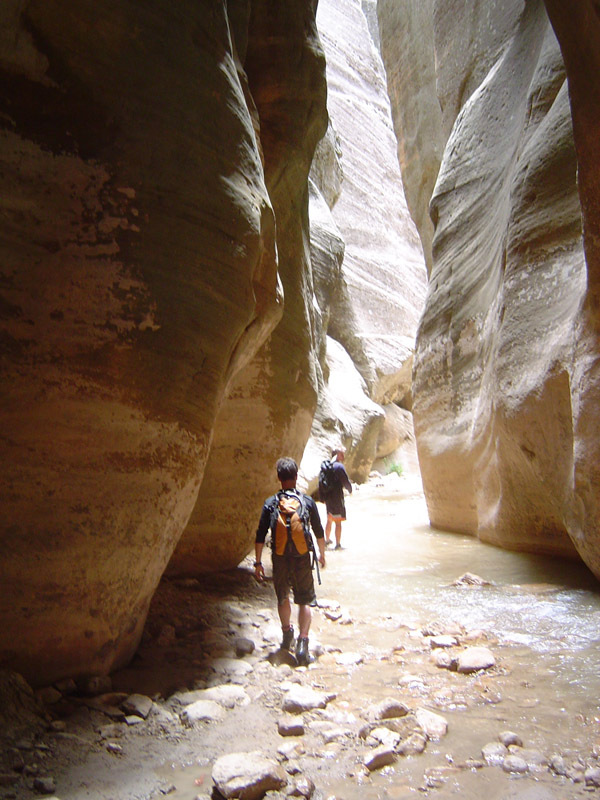 I was only able to convince everyone to go by showing them pamphlets for the hike, which offered glowing, happy pictures of elderly couples and very young children hiking in the stream, unmolested by mud-slides or cougars. If they can brave it, being elderly and infirm, surely we can. But in the end it never rained, and we weren't caught up in a flash flood or eaten by the indigenous fauna. Instead we witnessed one of the most amazing places I have ever seen on planet Earth and the most memorable hike I have ever been on. If you ever get the chance, go to Utah, stop by Zion National Park and hike the Narrows. You will not regret it.